Tapir: Assuming a 4-4 point as first move, White can prevent the mini chinese (if for some odd reason White wants to avoid it) simply by playing the 4-4 point in the adjacent corner. 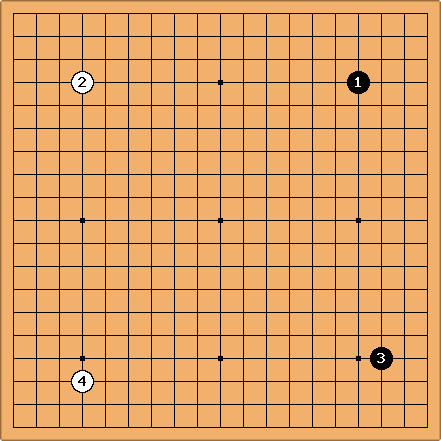 When is the 3-4 point necessary for the mini-chinese, White still has the choice how to play in the fourth corner. This seems to be fairly common among professional players. On the other hand White needs to offer a cross corner opening.